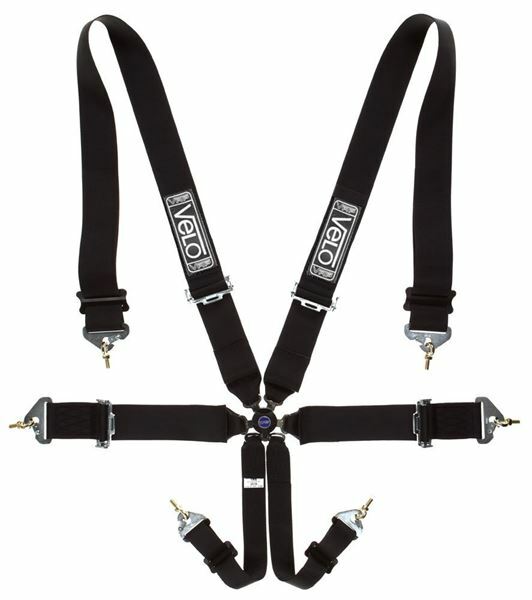 3 inch, 6 point harness with all new ultra light rotary buckle and easy slide adjusters. Snap hook fittings for easy fitment and removal. Supplied with eye bolts. Velcro on shoulder strap for drink tube/intercom. Available in Black, Blue, Red, Green (Special Order).